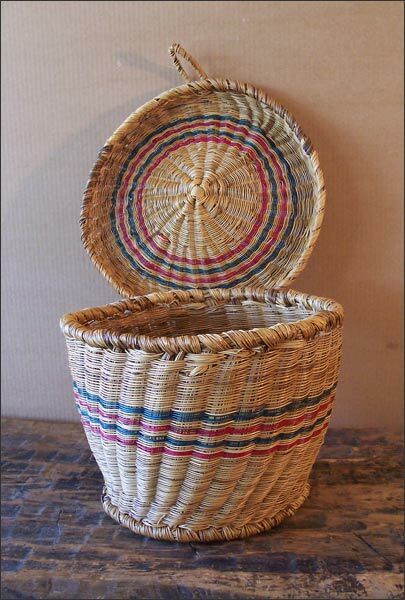 This Lidded Pine Needle Basket is Possibly one Made by the Seminole American Indians. Entirely of Pine Needle Construction and in Good Condition, but “Latch” for Lid is Incomplete. 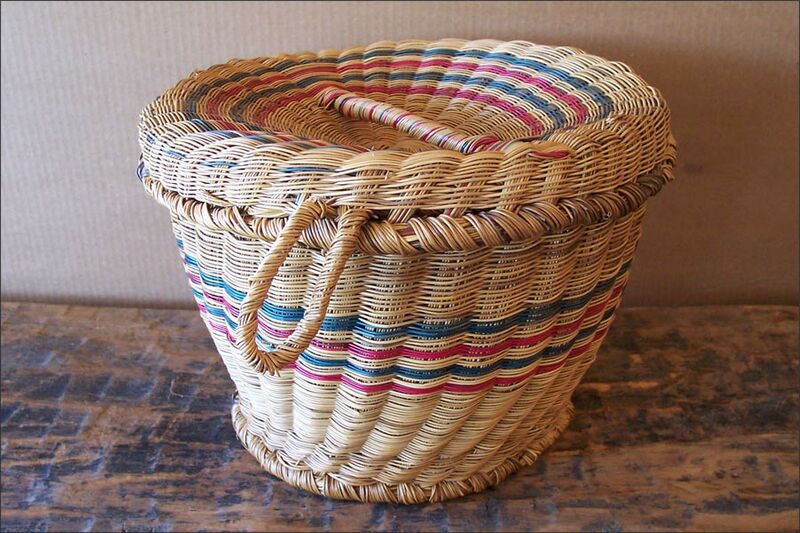 Narrow Bands of Teal and Red Died Needles Created Stripes that Encircle Body and Lid of the Basket.